Sweet dates and crunchy walnuts come together in this spiced bundt cake cloaked in a simple caramel sauce. I came across a passage recently that stood out to me, “I have realized that the past and future are real illusions, that they exist in the present, which is what there is and all there is.” In case you are wondering, it is a quotation from British philosopher, Alan Watts. Every once in a while we all need something to remind us that time is a precious thing- not one to be toyed with or wasted. So far this year, I find I have been reminding myself to ‘be present’ more often than ever. As the passage suggests, all we have is the present and tomorrow is not promised to us. So, I guess you could say ‘being present’ is my New Year’s resolution. I have found I’ve wasted too many hours worrying and fretting about tomorrow and its proceeding days. I’ve let moments pass me by and as a result, I have nothing to show for it but some regrets and missed opportunities. Today, however, I am here and grateful for everything and everyone around me. As I get older I realize and appreciate how it’s the small things in my day-to-day life that matter, like the hot cup of coffee shared with my mother in the morning, or just the presence of my little Rosie when she barks for attention or does something naturally funny that brings a smile to my face even when I don’t feel like smiling. This evening I was admiring the way the setting sunlight was shining through the murky window, poured across my desk; And yes, even in the bitter NY winters, no matter how much I might complain, I cannot deny the beauty of the evening skyline when it’s orange mixed hues are lit up, shining through the bare trees. 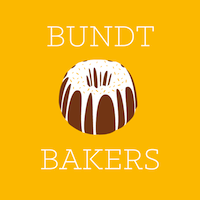 Another small element in my life that has brought me immense joy is #BundtBakers. I was surprised to see that this little baking group has been around now for five years! 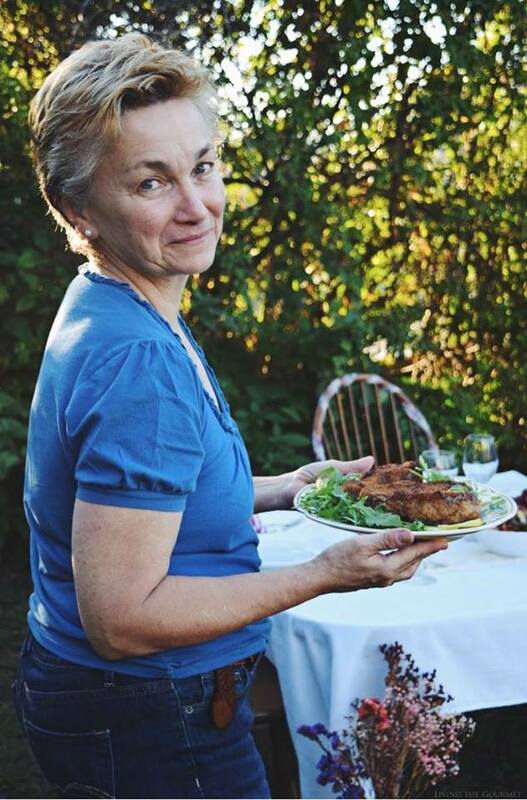 We’ve been baking along for four of those years now (if you’d like to take a trip down memory lane with us, check out our very first BB post here). You see, this month marks the 5th Anniversary of Bundt Bakers, an event I couldn’t pass up on. I was so excited to bake along with these wonderful people again. 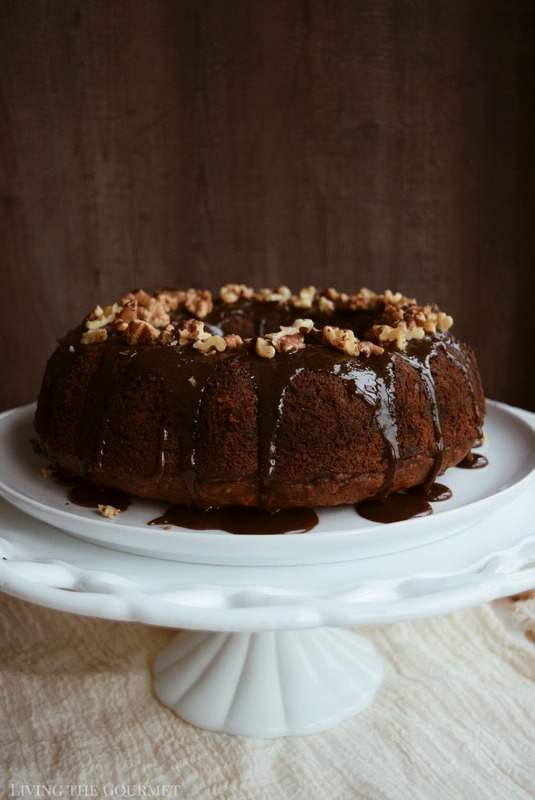 Our hostess is BB’s founder, Stacy of Food Lust People Love, who is leading us back in time to BB’s very first theme which was nuts, and naturally, that brings us to today’s recipe- Date & Walnut Bundt Cake. This cake is ultra light and moist which I attribute to two factors. The first being that we soaked the walnuts and dates before adding them to the batter, the second being we baked this cake low and slow at 325 degrees F. for 1 hour. 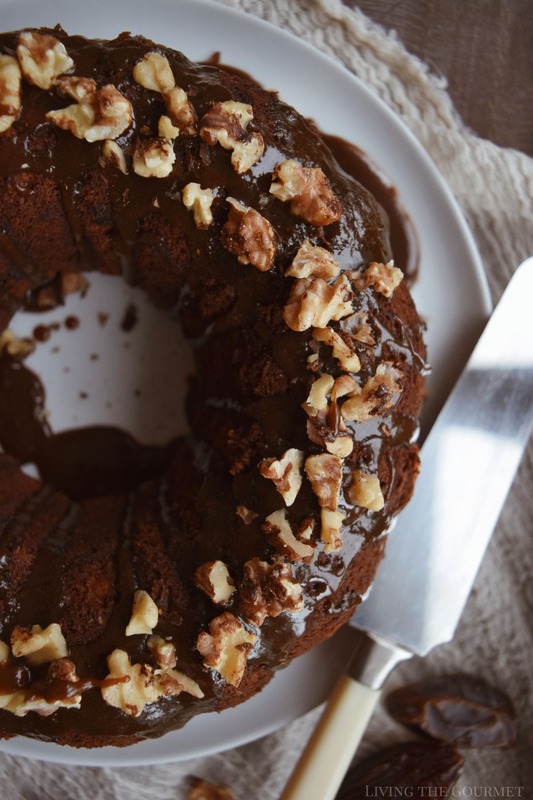 I must admit this bundt is your quintessential winter cake. It boasts of warm cinnamon with its buttery texture, then to finish it off, it is cloaked in a rich caramel sauce and toasted walnuts. This cake with a hot drink on a cold day (or night), is the definition of comfort. I know you will love it and I hope you give it a try. 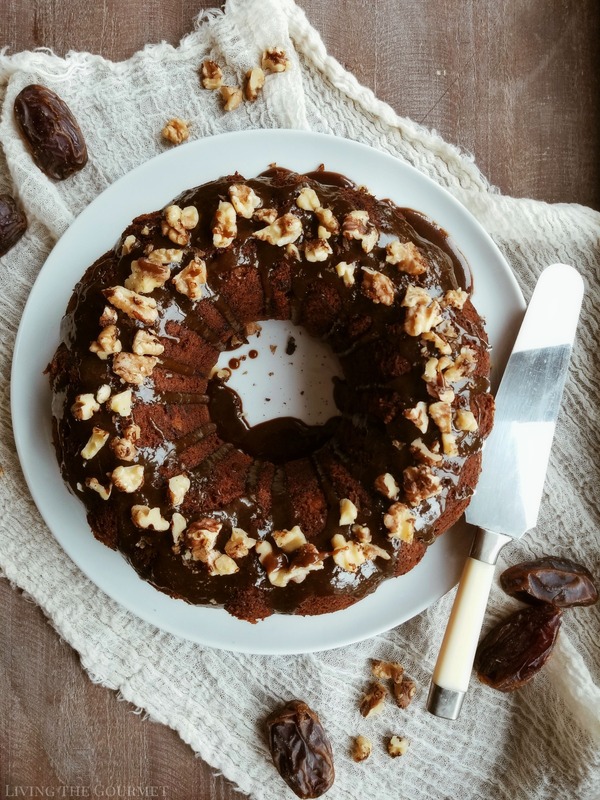 Don’t forget to check out the rest of this month’s delicious nutty bundts below. Place the chopped dates and walnuts in a medium sized bowl. Add the baking soda and stir in the boing water; set this aside. Sift the flour with the cinnamon and salt and then set aside. Place the butter in a large bowl and using an electric hand mixer, beat the butter until creamy. Gradually, add the sugar and beat until light and fluffy. Add the egg and the egg yolks one at a time and beat after each addition. Add the vanilla and the lemon juice and once again, beat. Using a wooden spoon, beat in the flour mixture alternately with the date and walnut mixture, a little at a time ending with the flour mixture. Bake 1 hour or until the top springs back when lightly pressed and the toothpick test comes out clean. Cool in pan on a wire rack for 5 – 10 minutes, before loosening around the edge to remove from pan. In a small saucepan, melt down the butter with the sugar and vanilla. Add in the half-and-half once the sugar begins bubbling. Whisk continually and add the baking soda. The caramel will being to bubble up but once it has thickened, you can remove it from the heart and pour over the cake. Garnish with toasted walnuts if desired. Walnut cake is one of my favorite dessert. When you add dates and cinnamon to it you definitely take it to the next level. I'd love to try your bundt cake. 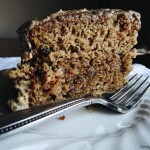 I love date cake - and have made and had many, but mine haven;t ever looked this regal! 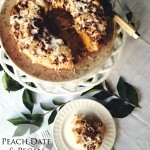 So love your use of walnuts in this - I wish I had a slice now! That looks so good! I love the flavors, and adding nuts is always a winner. This year I want to focus on being more "present" too. Take in all the lovely little things we tend to not notice or pass by. The cake looks delicious and you must be proud to be a part of such an amazing group for so long! This looks so decadent and delicious! Love that plate stand too, by the way! I love any dessert with dates in it - so I immediately know that this will be a hit in our house! This is a beautiful cake! I don't think I have had a cake with dates in it so I am curious as to how it might taste. If it tastes as good as it looks, I am sold! This really looks delicious and very tempting to the eye. Great recipe that you've given some incredible twist but a easy instruction to follow. My goodness! This is almost like sticky toffee pudding with the dates! And it's so pretty. I've got a couple of bundt pans. I just don't bake! A cake with two of my many favorite ingredients! Anytime you add nuts to a cake you have my attention! I love the look of bundt cakes and this one just look delicious! The dates is a very interesting combination! 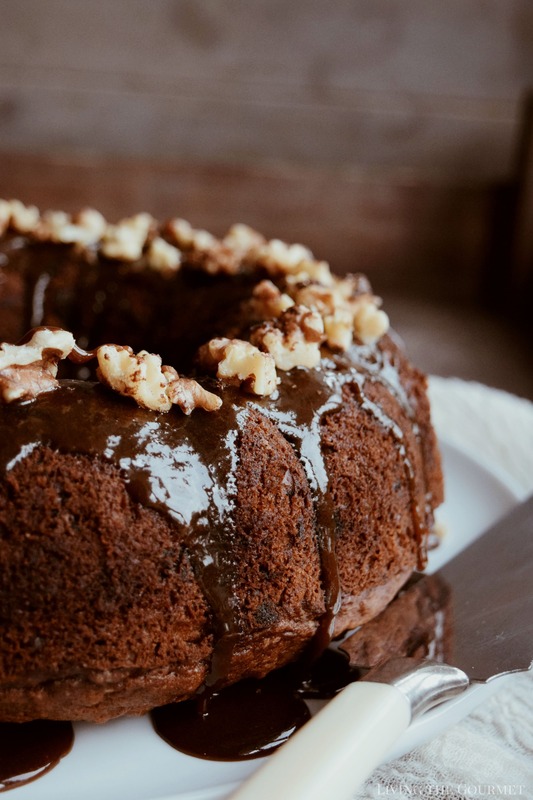 I have used walnuts in a bundt and love it. I love dates, so this is a no brainer. It is a beautiful cake as well. What a beautiful and delicious-looking bundt cake! That bundt cake really looks moist and delicious. I totally agree with you to appreciate and live in the present than worrying to much about tomorrow. Thanks for sharing the recipe, I will definitely try this. I bought dates last week for a recipe that never got off the ground. I like your idea much better! Looks delicious! I love that there is a group of you that get together to make bundt cakes every so often. That's so neat! Dates and walnuts, what a heavenly combination! The cake looks stunning, and I wish I've had a big slice of it right now with my cuppa! What a beautiful looking bundt cake! The flavor combinations in this are to die for! Nut cakes are my favorites! Especially when combined with chocolate! Looks SOOO moist and decadent and I LOVE the dark, moody photography! Stunning! What a delicious looking bundt cake! I want a giant slice right now with a cold glass of milk, yum. Date and walnuts are such a fabulous combo! I bet the dates add an incredible caramel flavour to the bundt. This is perfect alongside a good cup of coffee! This bundt cake looks incredible! 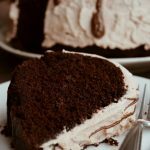 I always love a healthy chocolate cake and you can't go wrong with this one! Yum! 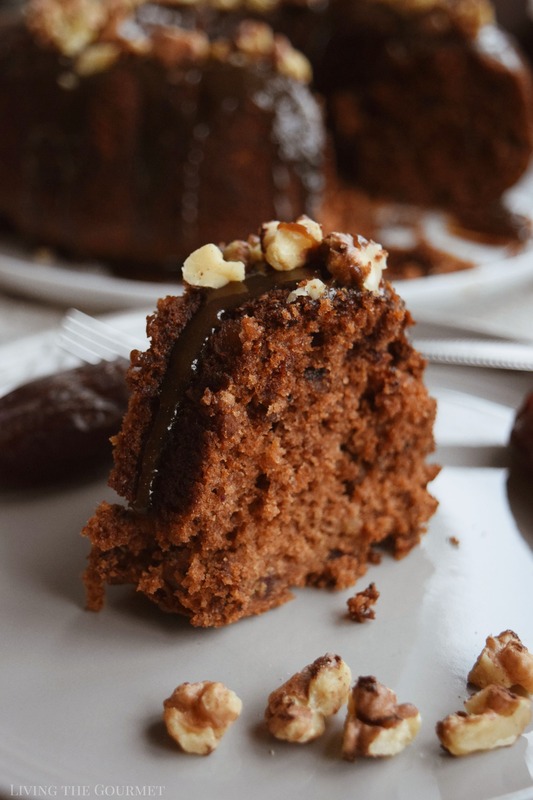 The natural sweetness of dates is so perfect to add to this cake! 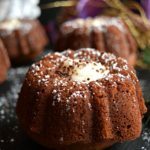 I just made my first bundt cake over the holidays - and I definitely need a new recipe to try! Can't wait for this one! Yum! This looks so delish!! 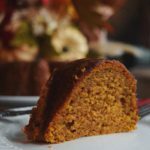 I love a good bundt cake and this recipe looks delish! I cant wait to give this one a try! Yum! This looks like the perfect cake to enjoy with a warm cup of tea or a big glass of milk. It's been forever since I've made a bundt cake but this one looks so good I might have to come up with a good excuse to make it soon! I love a god bundt cake! I always have dates in the house, so this looks perfect to make over the weekend!